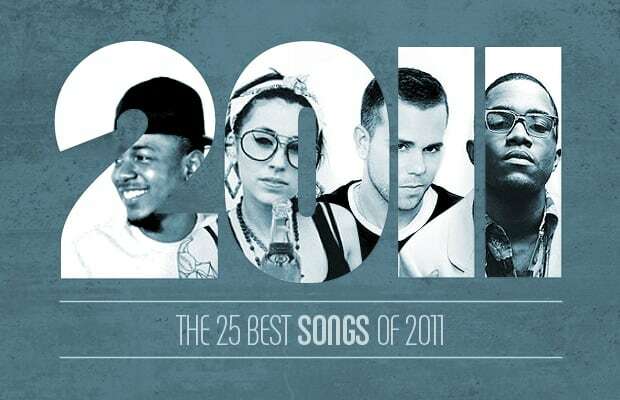 One day music heads will look back at 2011 with a sense of amazement. The whole world is changing in profound ways, and popular music is no exception. Whether 2012 will bring an actual Mayan-style apocalypse or just a profound shift in consciousness is not clear at this moment. What is certain is that we are now witnessing a radical transformation of not just the music industry but also the musical soundscape around us. Superstars and veterans are making some of the best work of their careers while hungry upstarts shred regional and genre barriers as they attack the game from all sorts of unexpected angles. It's getting harder and harder to make sense of it all, but don't worry—that's why Complex is here. We do this for our culture, and for our own sanity. Hey, we all need some new tunes to get us through the night. And so—after more than the usual amount of link-swapping, discussion, and debate—we proudly present the best songs of this crazy year.